Are your accounts getting banned too quickly? Or are you just looking for tips to prevent bans? Here are some tips for you. NOTE: Most of these tips only apply when botting long-term, whereas you want your bots to survive as long as possible, for potentially higher profit. immediately. We suggest that you play on the account legitimately for a few minutes to a few hours before running a script to make Jagex’s ban detection software think that you’re a legitimate player and to decrease suspicion. If you want your accounts to last longer, do tutorial island legitimately. Chances are, botting tutorial island might get your account into Jagex’s watchlist just a few moments after you run your script. Tutorial island only takes only a bit more than 5 minutes so this shouldn’t be a problem if you’re doing long-term botting. Don’t bot on places or methods whereas there are alot of botters. A good example for this is the blast furnace. Yes, the cash there is good, but there are too much bots in that location, which is most likely targeted by Jagex already. We suggest that you be creative and think of your own moneymaking method. Legitimate players don’t play for dozens of hours without taking breaks (except if you’re Mr. Nosleep). Use the break handler features on most available botting clients (if you’re not doing suicide botting). The break time patterns are up to you to decide. We can’t stress this enough. Unless you want all your bots to get wiped on one go or unless you want your legitimate accounts to get involved in ban/RWT detection, USE PRIVATE PROXIES. The last thing you want is to be traced by Jagex. They help a lot when trying to make your bots survive as long as possible. Fortunately for you, we have that topic covered. Yes. Free scripts can work, but using free scripts can get you banned alot faster compared to using a premium script or private script, simply due to free scripts having alot more bots using the exact same patterns that the script uses. Purchasing premium scripts or private scripts can help your bots get banned noticeably longer. Yes, a bond might cost quite a bit. 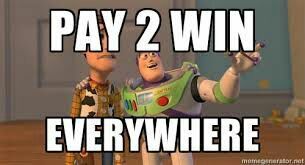 But in our experience, we think that botting using P2P accounts is a lot more worth it since we think P2P accounts last alot longer than F2P accounts in terms of ban detection. Also, switching methods may help your bots dodge Jagex’s bot detection due to your patterns being changed up. Once again, legitimate players don’t usually play 24/7. Takes random days off. Go on days where you just play and do a quest or two or just chat with people on Edgeville. Personally, I take breaks only for like once or twice a week. Just to avoid suspicion. Your display name probably wouldn’t affect the way the anti-bot system detects bots, but you are more likely to get reported when you use usernames like “Dragon632653” or “Monkey263263”. While you’re at it, we think that you’re also more likely to get reported when you have the default “Bob” player skin/outfit. Take note that this is only mostly applicable if you’re planning on using your bots for longer periods. Having a not-so-obvious username and player outfit might not matter that much when doing suicide botting. Using OSBot’s Mirror mode or Tribot’s Looking glass features may help your accounts last longer. The reason is that you can bot using the official client or the osbuddy client, instead of using tribot’s and osbot’s clients. This may help since Jagex claims that they can detect what runescape client the players are using. We don’t have any proof that Looking Glass and Mirror Mode helps, but due to some user’s experience, most claim that they help quite a bit. NOTE: Mirror Mode or Looking Glass uses more CPU and RAM.